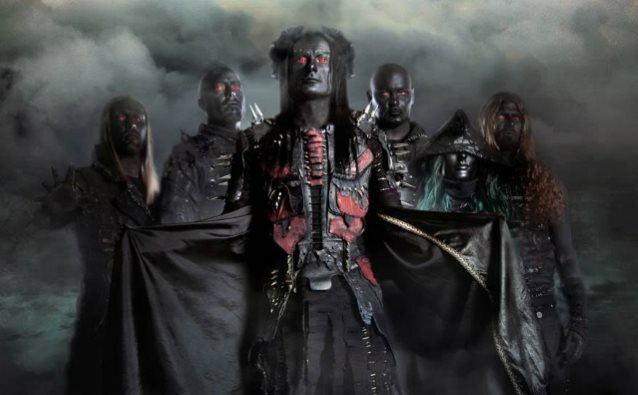 British extreme metallers CRADLE OF FILTH will release their twelfth full-length album, "Cryptoriana - The Seductiveness Of Decay", on September 22 via Nuclear Blast. The cover artwork, photography and videography was created by Artūrs Bērziņš, best known for his defiant neo-symbolism raster graphics and oil paintings; postmodern interpretations of classic myths. He has been proclaimed as a "sacred monster of Latvian postmodernism." "Cryptoriana - The Seductiveness Of Decay" was recorded at Grindstone Studios, Suffolk, U.K. by the very honorable Scott Atkins, who has been the resident go-to producer for CRADLE OF FILTH for several albums. CRADLE OF FILTH frontman Dani Filth sat in during the mix, serving up flaming mugs of teas, making the studio couch his own and lending his ears when necessary. The first single off "Cryptoriana - The Seductiveness Of Decay" will be released on July 5, the same day that the album pre-order will become available. 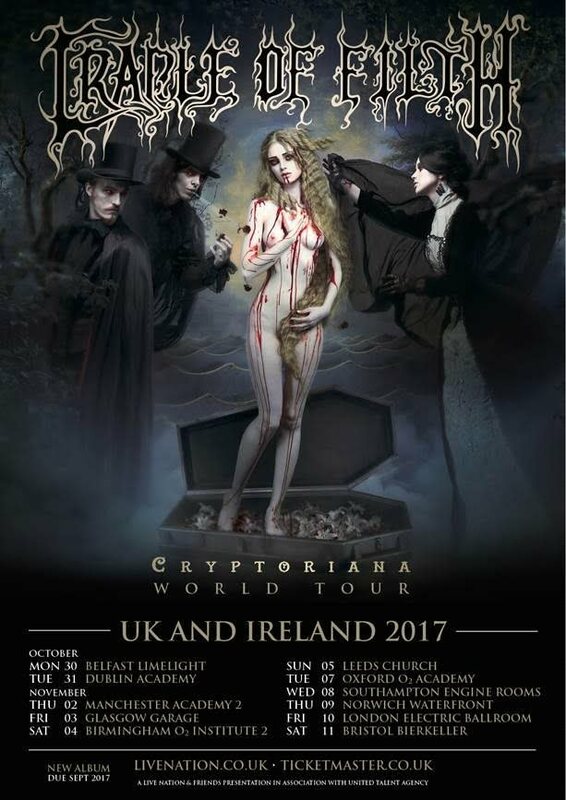 Added Dani Filth: "We, as a band, are incredibly excited about hitting the U.K. and Ireland for a full run of dates around All Hallows Eve, as playing the band's home country is always great fun and the audiences here are very receptive. And nuts. The dates will be the first in a long line of shows that will extend throughout the rest of the world throughout 2018. We aim to be very prolific on the live front, delivering a show worthy of our fans' exalted expectations and more."